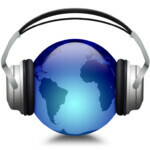 “Click, Hear” is the radio station at SingerSong.com. You may download all of these songs for free for all of your devices, if you become a member of our site! Register for FREE – HERE! Listen to our radio station for free – forever! No adverts, no talk, just original & independent music! The station was recently added with our big update. Click the “Play” button or “Launch Player” to open a new window so you can listen as you surf! Thanks for listening to our “Click, Hear” radio station. Bookmark us and come back again! We are hoping to hear from some fine folks who may want their tunes highlighted as well. If you are a singer songwriter and would like a track or two played here at our site, email us at info [a] singersong[. ]com and please send mp3s, a photo or two and some biographical info. Thanks!